My husband loves his STEAK! Almost any kind of steak, he's such a meat and potatoes kind of guy. Oh yes, he'll eat other things (because he has to/I make him), but give him a good steak and he's happy. This is his "Mano 'O Steak!" Mix all rub ingredients in a small bowl. 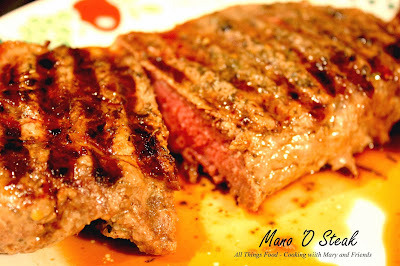 Massage steak with Extra-Virgin Olive Oil; massage in red wine (your choice). Pat rub on each side of steak and let sit 15 minutes. 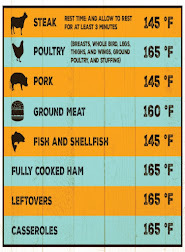 Grill over direct sear heat 4 minutes per side until internal temperature is 135 (for medium-rare). Let rest 5 minutes before serving to redistribute the juices.